BEYOND ACHONDROPLASIA shows one of an good result of good physical therapy. The website wrriten by Ms. Inês Alves is one of the most famous and usuful blog about ACH in the world. 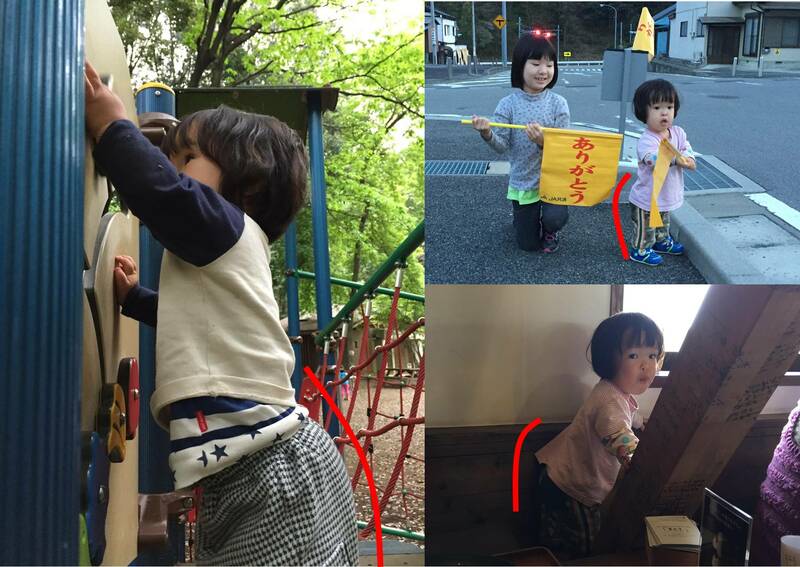 The article was listed on September 21, 2015, so her daughger named Clara was around same age as Eigo in this moment. He can not do like this Clara shows on this video. She has long experiences to keep trying to do physical therapy for couple years. The goal is to teach the children strategies to stand up unsupported that will prevent damage in their lower spine while transitioning from the sitting to the stand up position. Clara was able to walk alone around 17-18 months old and she only could stand up without support when she was about 26 months-old. She started to stand up unsupported open widely her legs, hands on the floor and lifting her head for back impulse. That was producing stress in her lower spine and she wasn´t working her abdomen. Her physiotherapist and us have been working for several months with Clara for her to stand up using the movement you will see in the video. No stress in her spine and also working the abdominal muscles. We can not see Clara’s spine but actually hes spine is really straight. These months Eigo’s lower spine has got bigger. He always stands with moving forward direction. He seems like to be hard. I am really sorry not to notice about it. To prevent this, it was really needed physical therapy.